A team of three riders on horseback have 60 seconds to separate three specifically identified cattle from a herd of 30. Watch a race against the clock as the athleticism and skills of horse and rider square off against the herd instincts of cattle. 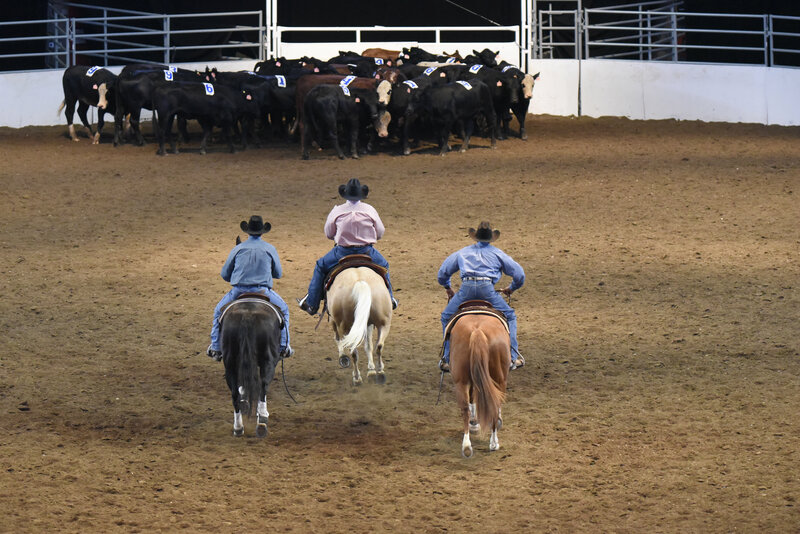 This fast-paced event gives a team of three riders on horseback 60 seconds to separate three specifically identified cattle from a herd of 30, and get them into a 20’ x 24’ pen at the opposite end of the arena. Teamwork is the key to team penning with all three riders working in harmony to cut out the correct cattle and drive them to the pen.